Friday: Dillon’s T-bird! | Faded Jeans – Arizona's Party Band! ← Highly Acclaimed Party Locales This Weekend! Hello again to the our fans, friends and families! 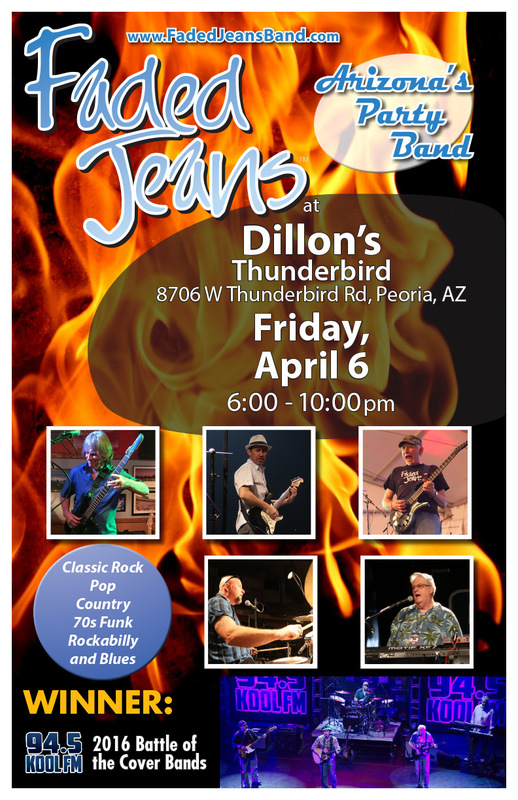 April has begun and there is no time like the present for great BBQ and drinks from Dillon’s and your favorite songs from Faded Jeans … no fooling! Friday, April 6, 2018, 6 p.m.